Improves cardio-pulmonary status of the patient, enhancing the overall fitness and wellbeing. 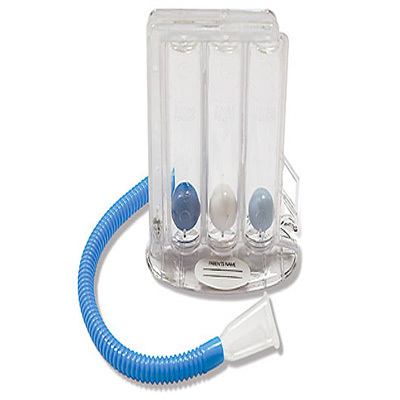 Lung Exerciser - Improves oxygenation of blood, reduces fat levels by burning calories. Made from transparent material , Three colour balls for easier identification of inhaled capacity. In this polluted atmosphere one should have it & do exersise for atleast 3 to 5 minutes a day for better function of lungs.